Music and the Arts Trinity Lutheran Church announces the start of our seasonal Bach Cantata Series. 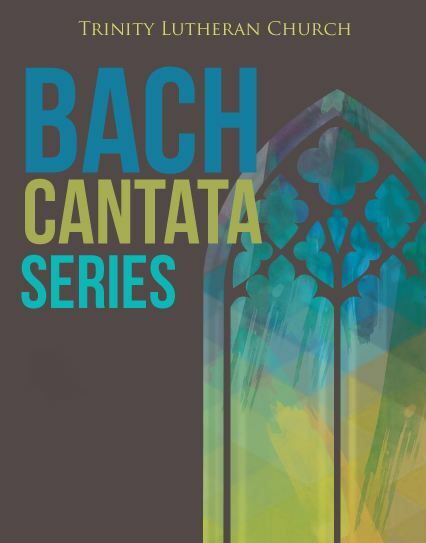 This is the FIRST opportunity in the Midwest Region to perform all of Bach’s Sacred Cantatas over the next several years in the liturgical context for which they were written. These FREE, 45-minute services are performed at 5:30 p.m. every Saturday in November, December (except Dec. 28), February, March and April. The cantatas are being performed “one on a part” by the Trinity Chamber Artists. Series begins Saturday, October 26. Visit http://www.tlcms.org/MusicandtheArts for more information. Saturdays, 5:30pm at Trinity Mission Campus – Free! This entry was posted in Music Events and tagged Bach Cantata, Christianity, Gottes Zeit ist die allerbeste Zeit BWV 106, Jesu, Johann Sebastian Bach, Lutheranism, Religion and Spirituality, Seele. Bookmark the permalink.